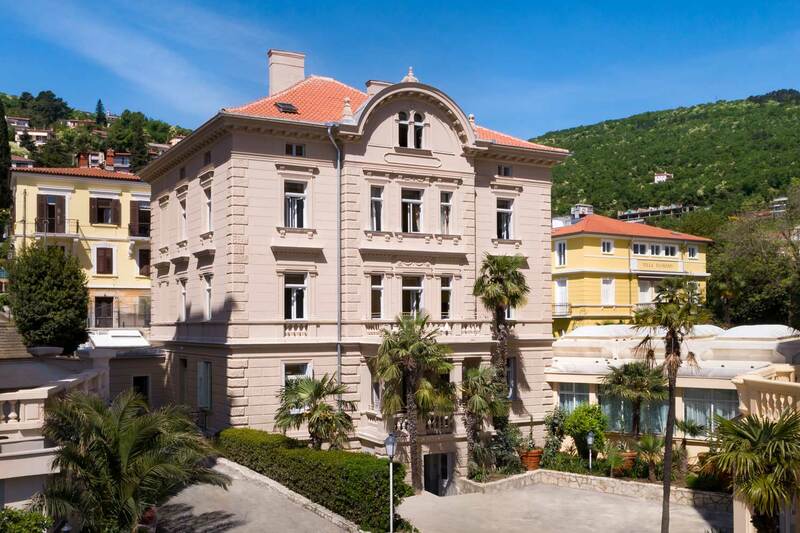 Feel the magic of the Opatija Riviera during the Advent, Christmas and New Year's holidays. A variety of events, a festive atmosphere with the sound of Christmas songs, and the scent of mulled wine all await you just a few steps from the sea. The series of events on the Opatija Riviera entitled 'Winter in Opatija' begins with the lighting of the first Advent candle on Sunday 29/11/2015, after which the other candles will be lit on the three Sundays before Christmas. Great fun and a special Christmas atmosphere for children and adults is guaranteed on the ice skating rink at the Open Air Theatre in the immediate vicinity of Angiolina Park, which will be open from 29/11/2015 to 10/1/2016. The 'Ice Magic' programme includes a series of events for our youngest visitors. A meeting with St. Nicholas is one of the highlights for children who cannot wait to receive a present. During your stay in Opatija, don’t miss the chance to visit the Christmas Fair, which will take place on Slatina promenade from 04/12/2015 to 06/01/2016. In rustic wooden kiosks, you can try sausages or fresh fritule fritters and have a glass of mulled wine while the sound of Christmas songs fills the air. The most essential part of the winter atmosphere in Opatija is the 10th Chocolate Festival, which will surely delight all chocolate lovers. During the festival, Croatian and international chocolate manufacturers will present their products. Experience the chocolate magic and treat your palates to an unforgettable experience. The December programme in Opatija also includes great musical performances, such as a Christmas concert by Renata Sabljak, a popular actress with the Komedija Theatre in Zagreb, entitled 'Christmas is Coming'. Join us on New Year's Eve and see in the New Year with your loved ones. Spend a memorable New Year's Eve in Opatija to the sound of musical hits from the 70s and 80s. A great time is guaranteed.